The Suunto Ambit3 is a tough GPS watch with big ambitions. Not content to track my route while I’m gamely stumbling forward on my morning jog, the attractive device can also monitor my heart rate. The recorded data fills the face of the wristwatch on an intuitive graphical interface while Bluetooth smarts simultaneously transmit the same information to a smartphone for further analysis. This rich feature-set is packed inside a 50-mm case with an aluminum bezel. Protection of those sensitive electronic components, sensors and microprocessors, is promptly delivered by a tough polyamide case and a reinforced mineral crystal lens, crucial design materials to seek out when looking for the best tough watch. 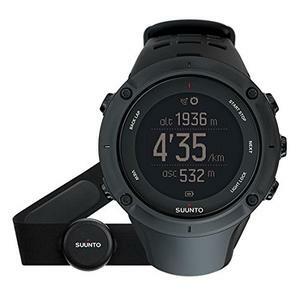 Amateur runners will get a kick out of the many functions of the Suunto Ambit3, but the wristwatch only finds its true purpose when strapped to the arm of a serious athlete. 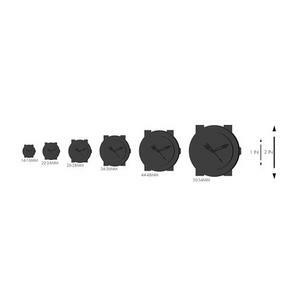 A runner preparing for a triathlon will enjoy the sharp, large numerals displayed on the rounded case of the watch. Five studs manage all of those fitness features, relaying a string of invaluable data. Suunto watch reviews quote the Ambit3 as an evolutionary move up from the previous model, but I see the addition of Bluetooth connectivity as an essential component when considering the number of activity trackers currently flooding the fitness market. But back to the features and functions of what could be a contender for the best tough watch for an aspiring athlete. The watch includes a smart heart sensor belt, a device capable of accurately measuring my heart rate while walking, cycling, or swimming. It pairs quickly with the wristwatch, but I noticed it can move away from the chest area when activities stretch the muscles across the abdomen. What Does Suunto Ambit3 Has to Offer? Suunto watch reviews tend to focus on the GPS component of these high-performance watches, but the addition of a Bluetooth wireless component demands a slight change in focus. The Ambit3 can pair to a smartphone or compatible tablet, transferring body metrics to the phone App for analysis. This includes graphed observations of heartbeat changes, the accurate mapping of the run through GPS monitoring, and smart notifications. Unfortunately, Android users are out of luck as the App is only available for Apple products. Some of the other features built into the Apps feel a touch gimmicky to my mind, but they could be fun to play around with during and after the run. Imagine creating a 3D map accompanied by a Suunto movie for the ultimate opportunity to relive the race to fitness. Finally, the best tough watch category demands some leeway when introducing new designs to the fitness market. The Suunto Ambit3 achieves this goal with remarkable grace by introducing several different models with affordable price tags. The Ambit3 Sport offers a reinforced dial while the Ambit3 Sport Sapphire replaces the mineral crystal design with Sapphire glass. 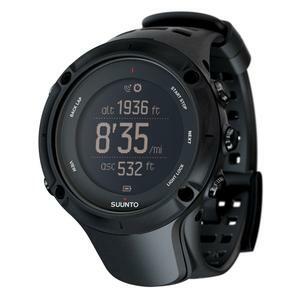 Suunto watch reviews have also noted the introduction of the king of the range, the Sunto Ambit3 Peak, a watch that integrates all of the above features with a barometric alimeter for scaling those challenging mountains. The Peak model also races to the fore of the group by incorporating longer battery life, 50-hours in comparison to the 25-hours of the Sport model. A beautiful display with large numerals and multiple sports-related modes listed in intuitive order, the Suunto Ambit3 lineup is a tempting all-rounder for any serious athlete and aspiring amateur adventurer. The wristwatches include an improved heart rate belt and enough customization options to tailor the functions of the waterproof device for everything from climbing a challenging mountain face to doing laps at the local pool. The days when a wristwatch was manufactured solely for informing us of the time and date are long gone. There are still many classic and stylish timepieces on the market designed to do nothing but relay the time and date while placing an accent on style and fashion, but there’s always room for additional functions, features that don’t require any sacrifice on the fashion front. The Seiko SANA411 flight alarm chronograph accomplishes this objective with surety and poise, injecting style with technical prowess that’s designed to inform the wearer of flight-relevant data. The best tough watch market entrants could learn a great deal from the SNA411. A fashion-conscious pilot can wear the watch with confidence, check time on the ebony dial, and adjust the bidirectional bezel to gain access to invaluable features that are aimed squarely at flight enthusiasts in general and pilots in particular. An outer ring rotates in response to a twist on the knurled ring, lining up with an inner ring to deliver slide-rule data and tachymeter functionality. It’s this bezel that marks the timepiece as a contender for best aviation watch. Some users have placed the dial in the negative column as far as attributes go, viewing the design as overly busy, but I see the bezel as invaluable for pilots when working out flight calculations without a nearby computer. The stainless steel case of this model wraps the Japanese tuned quartz movement within a substantial case, one that has to be a big consideration when choosing the best tough watch for piloting. Additionally, the durability factor isn’t limited to high altitudes. Take the watch along on a diving vacation and feel safe and secure in the knowledge that it’s rated to keep water out all the way down to a maximum depth of 200-Meters, which equates to 660-Feet. But back to defining the Seiko SNA411 as the best aviation watch in its class. The Seiko name is synonymous with legendary Japanese precision, a fact that’s heavily promoted by the finely crafted quartz movement mechanism, a movement that’s backed by an impressive battery capable of powering the watch for 3 years. There have been some issues with the occasional wearer remarking on the tiny, crowded subdials and the busy bezel, but I feel the domed hardlex crystal window does a fine job of magnifying every digit and hand movement, resolving the three subdials with impressive clarity. 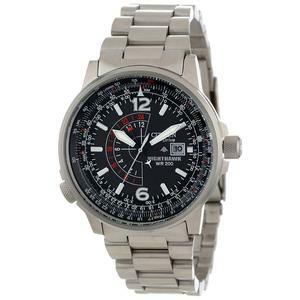 In completing the all-round appeal of this stylish pilots watch, the bezel comes at the top of the list, but there’s more noteworthy features that I feel compelled to mention. The date window is positioned at the 3 o’clock position. A luminescent coating lights up the silver hands and the hour markers during a midnight flight above the clouds, and the best tough watch rating is upped by the provision of a durable band of linkages made from stainless steel. Finally, the Seiko SNA411 is graced by a large knurled crown that’s bookended by two screw down studs. Pull out the crown by one or two solid clicks to access configuration settings and additional features. The comprehensive feature list of this Seiko flight chronograph is rounded out by a compass function, a stopwatch, and a highly configurable alarm. I’ve read of issues related to the reading of the finely rendered dials and time markings, but I personally found the display elegant and easy to read. 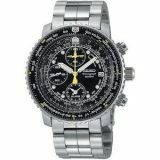 The watch complements a world travelers’ outfit, equipping a pilot or tech-savvy collector with alarm functionality, slide-rule calculating prowess, and places this watch firmly in the best aviation watch division, with others scrambling to catch-up. By having over a century to focus on making quality timepieces, it should be no surprise that Seiko has a sterling reputation among watch aficionados. Since 1892, the company has led in both craftsmanship and in developing new technologies to incorporate into their products. They caught everyone off-guard back in 1969 with the first quartz watch. Just 17 years after this breakthrough, Seiko debuted the first experimental version of their kinetic drive. This technology has since matured and is at the heart of many of their models like the Seiko Men’s SNP007 Coutura Kinetic Perpetual watch. I’ll start the description of the SNP007 by giving you a little idea of how kinetic power works. The use of a watch wearer’s movements to supply the power for a watch actually goes back to the 1770s. Basically, a tiny pendulum would swing while a person walked, winding a mechanical spring. It wasn’t until 1986 that this concept was updated by Seiko to be used towards rotating a generator that charges a capacitor. In the SNP007, this capability has reached the level where the watch can store a charge up to four years without usage. It does this by ceasing all physical movements after it’s sat for 24 hours without disturbance, limiting itself to only electronic actions. When you take it out of storage, just give a few quick jerks and it not only begins running, it jumps to the correct time and date displays. A few of its other technical attributes I should mention include a quartz movement, stainless steel case and band, and water resistance to a depth of 330 feet, so it’s practically the best tough watch to feature kinetic power. With regards to its design, the Seiko SNP007 exudes a pretty manly sensibility. The watch face is black to provide a dramatic contrast to a body of stainless steel, the best tough watch material around. 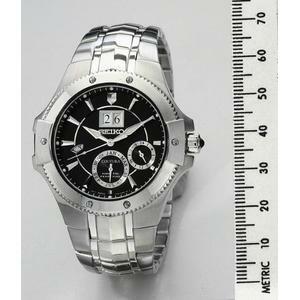 As a man’s watch, it has some substantial dimensions like a 44 mm diameter by 12 mm thick case and a 24.5 mm wide wristband. The watch face contains an asymmetrical layout. Along with the standard analog hands for the current time, the months readout dial is at bottom near the six-o’clock position with a smaller dial off to the right that displays the hours in a 24-hour format. At the top lies the day’s date and over by the nine-o’clock position, a display shows the years removed from the last leap year. I’ll add that this model uses a perpetual calender that’s good until the year 2100. Sealing all this in and the water out is a tough sapphire crystal glass. Obviously, the kinetic power drive of the SNP007 is its coolest feature. 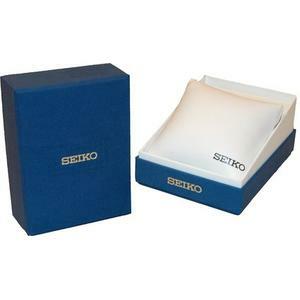 Wedded to Seiko’s commitment to quality, you can count on it for reliable power. Then again, this type of mechanism will be more expensive than a standard battery if it needs replacing after the warranty expires. The watch does have some other soft spots, too. The rugged, industrial style of it is a bit stale and predictable. The auxiliary 24-hour dial and post-leap year counter are superfluous and can make reading the watch hands difficult. Some owners have also mentioned that it’s bulky and heavy. Of course, this should be expected for a man’s watch that belongs in the best analog watch category. 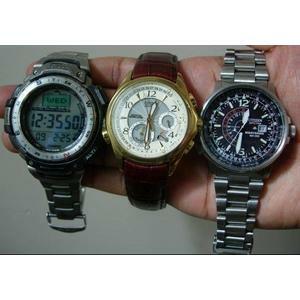 Seiko is well-known for making reputable watches that are also affordable. The SNP007 Coutura Kinetic Perpetual watch has both a cutting-edge power system and a few pointless additions. In the end, it’s your call whether it has what you want or just isn’t quite the right one. In today’s technologically advanced world, luxury watches have become a great commodity. However, their design and build make them a great accessory in terms of style and functionality. Those looking for the best analog watch can look into the Citizens BJ7000-52E Eco Drive “Nighthawk.” This watch packs a number of great features in a sleek and stylish way. There are a number of great watch options available. 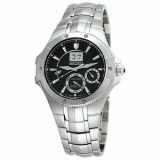 The following review is just an example of a watch that contains features one should look for when searching for a quality watch. This watch is built with style and durability in mind. It is made of stainless steel to ensure longevity. The traditional style is reminiscent of luxury watches throughout history. However, it can stand the test of time of anything thrown at it. The band consists of numerous brushed steel links that provide a timeless, yet robust appearance. It contains a fold over push button clasp to ensure that it stays put. The watch face is large and clearly visible without being overbearing. It is 46 millimeters in diameter. The dark face is accented by bright numbers, increasing visibility and creating a masculine appearance. The face is beautifully crafted and packed with features. In addition to the traditional three hands, the face has a date window and dual time function. A second time zone can be set for those who are constantly traveling. The date window is located at the 3 o’clock position, making it clearly visible without getting in the way. It provides users with the information they need in one sleek face. It also contains a pilot’s slide rule on the inner bezel. It can be adjusted using a dedicated crown. The numerous ticks and measurements give users a lot of information in an easy to read format. The watch itself operates by using Japanese quartz movement, making it very precise. It’s important to find a watch that is constantly in time to ensure that you don’t fall behind. There’s also an incandescent light that can be activated by pushing the crown. Additionally, there is a low charge warning. The warning allows users to always know when they need to replace the battery. There’s no worry about losing track of time. The watch looks very sophisticated, but can be used in even the toughest of environments. In fact, the watch is water resistant up to 200 meters. This is an important feature to consider when looking for the best tough watch, especially to those who are constantly looking for the next adrenaline rush. It’ll give you style and function while doing outdoor activities. Wearers won’t have to worry about harming the watch in their adventures. Additionally, the window is made from mineral crystal. The material is tough, scratch resistant, and non reflective. This makes it suitable for everyday use, despite its sophisticated design. 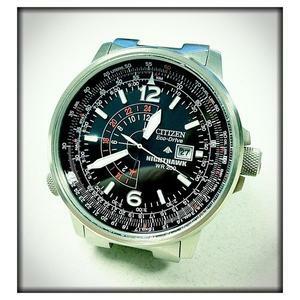 Overall, the Citizens BJ7000-52E Eco-Drive “Nighthawk” is a timepiece that is stylish and robust. It is made for active people who don’t want to forgo style. It can provide users with information they need in a tough environment while still looking great. While making the decision to buy a watch is entirely up to you, this watch contains many useful features that should be looked for when finding the best tough watch available. For avid outdoorsmen, the ultimate search for the best outdoor watch can seem daunting, but the Suunto Core All Black watch can make that search worthwhile. Whether one is looking for a barometer, an altimeter, or a compass, this best tough watch is a rewarding purchase. The Suunto Core All Black has many key features that make it one of highest watches on the best tough watch list available on the market today. This incredible watch offers a barometer, an altimeter, a compass, temperature reading, up to date storm alerts, sunrise and sunset times, a snorkeling depth meter, a variety of watch, date and time functions, replaceable battery and a multilingual format making it user friendly throughout the world. 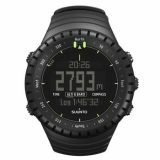 Touted as among the best outdoor watch in many Suunto watch reviews, Suunto Core All-black comes with many pros within its features. 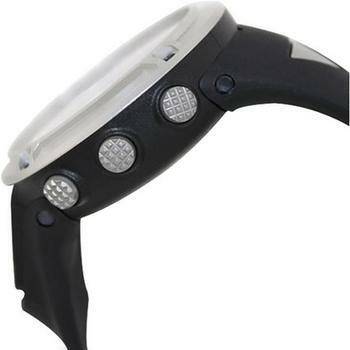 The watch offers users a water resistant outdoor watch up to 30 m, a 12 month battery lifespan when the watch is used in strictly time mode, an electro luminescent back light option, back light option that is configurable with the press of one button or any button, timers in the form of stop watch and countdown, a daily alarm clock, dual time display, button lock, matrix display type and a low battery indicator. The best tough watch is also available in multiple language formats making it a great choice worldwide. 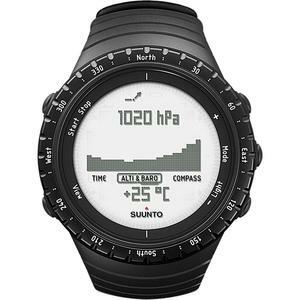 The digital compass function of the best outdoor watch, the Suunto Core All Black Watch, features a degrees direction scale, a north indicator needle, bearing lock with orienting indicator, globally balanced, and compass accuracy within 5 degrees. The free diving function of the watch allows divers to snorkel safely up to 10 m with the watch. The altimeter of the watch has an altitude graph, barometric altitude, air pressure based total ascent and descent, and a range of -500 – 9000 m. The altimeter and barometer features of the watch are actually directly linked together. The watch’s weather feature tells sea level pressure, has a weather trend indicator, accurate temperature readings, sunrise and sunset times, storm alerts and a weather log of up to 7 days. Although the Suunto Core All Black Watch features a long list of pros, there are a couple different cons that come along with the watch. One of the biggest cons associated with the Suunto Core All Black Watch is that the display is a bit dark on the watch. This can be a nuisance when trying to quickly view the display on the watch while outside in the sunlight. Another con associated with the watch is that it can seem quite overwhelming to new users. This is a result of the multiple features that the watch offers. The initial ease of use for new users is also a bit more difficult than some other watches. Although the storm alerts in the weather function on the watch are quite reliable and up to date, some other watches allow for weather logs that are more than 7 days. 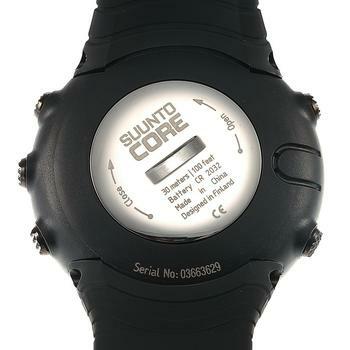 The Suunto Core All Black Watch comes with many different pros and cons. The ultimate decision on the product that avid outdoorsmen decide to purchase solely relies on personal preference of the individual in the market for the watch. This watch has many different features that outdoorsmen search for, but operation of the watch can be a bit difficult until an individual becomes familiar with the watch. Suunto, the manufacturer behind some of the most trusted sports watches and diving instruments unveil the Ambit2, their latest sports watch. As trusted as the brand is, Suunto does not stand alone in the development of sports watches, and faces quite a bit of competition from consumers. So what does the Ambit2 do, and how does it stand apart from the competition? 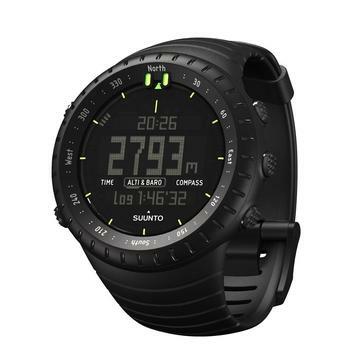 Though designed as a tough watch primarily intended for divers in mind, the Ambit2 covers a variety of outdoor activities, and is readily embraced by athletes of different backgrounds and nature enthusiasts alike. Whether experienced or new to mountain sports, swimming or diving, the learning curve with the Ambit2 is pretty forgiving. If a user has used modern sports watches before or not, they’ll be instructed properly and will find little in the way of trouble in operating this model. For runners and hikers, the Ambit2 ready to assist with the charting of trails with ease. An uplink to GPS services makes for simple location of known paths from your starting point down to your destination with precision. Unlike other watches in the same vein, the Ambit2 is known for its speed in this area, requiring only seconds to establish a connection with nearly no presence of lag. 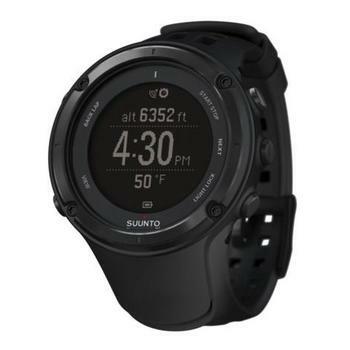 In addition to the efficiency of the GPS, many Suunto watch reviews highlight how conservative this watch is in how it allocates battery power. Few sports watches can last as long at the Amibt2 does with its GPS in constant use. This is especially useful for the inexperienced hiker, or those entering new territory who need to continually check their placement on the trail. Another useful aspect for the athletic user is the heart rate monitor. 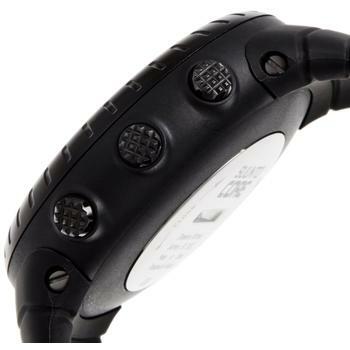 Like others, this heart rate monitor is there to help users keep track of their heart rate throughout their run or hike, and provides statistical data that can track progress. The chest strap included fits under the pectorals and allows for the tracking of intensity of movement, alerts around target zones, and can be applied to a range of physical activities. The chest strap and the sports monitoring functions work best with the many applications that are available for download. 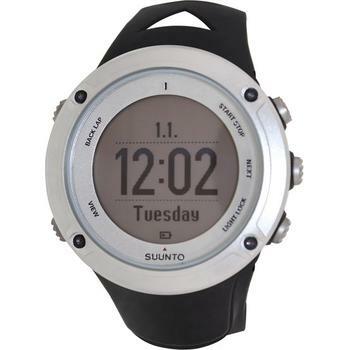 For example a calorie counter that many users of Suunto’s watches would probably utilize on a separate device. They can now be found and used to their full functionality with the Ambit2. Connecting a home computer is hassle free. Connecting with a sync cable allows for the upload of user data as well as the download of numerous applications and customization features that turns the Ambit2 into the user’s very own unique device. The initial connection to a computer is a streamlined process that doesn’t require much in the way of human input to set up properly. It does not, unfortunately, support Linux OS users. They will have to seek third-party support to access the same functionality. Finally, Suunto Ambit2 has to be among the most ‘intelligent’ watch designed for runners and sports enthusiasts. This flagship model from Suunto proves to be one of the brand’s most popular model and there is good reason for that. So, what do you think? Do you think this will make the perfect watch to propel your fitness and performance level?